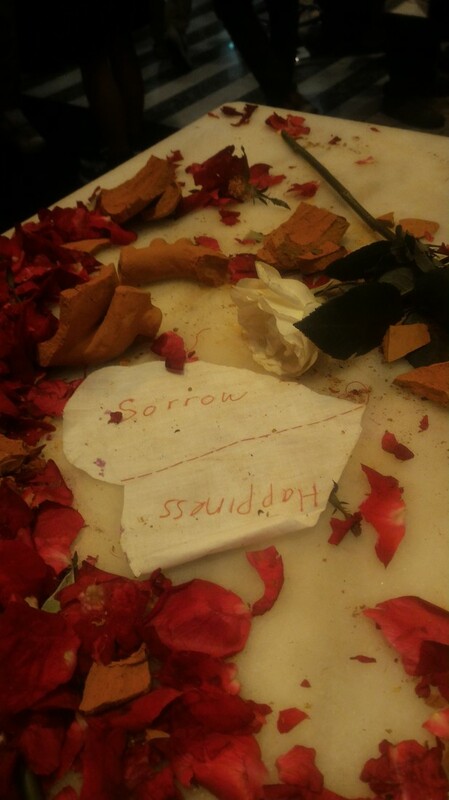 LOVE is never ending repetition of Happiness and Sorrow that separated by just a piece of thread. 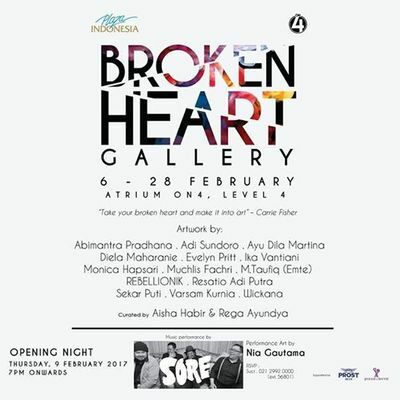 Ceramicist Nia Gautama opened the exhibition with her art performance. 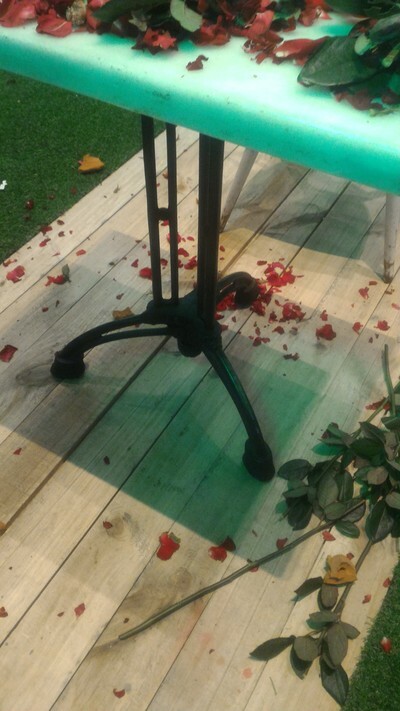 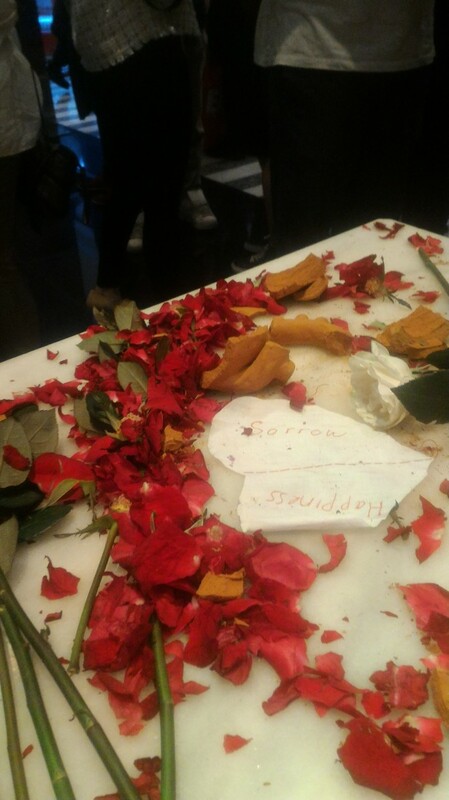 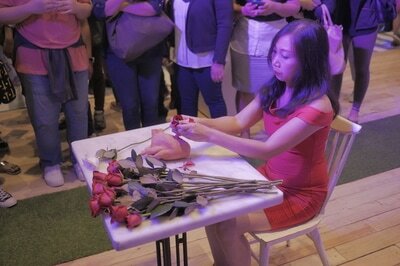 Dressed in red, the artist sat on a white desk scattered with dozens of red roses and an earthen heart. 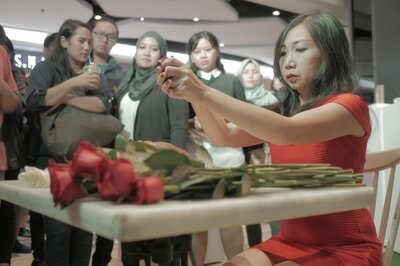 She slowly tore out petals from the roses and broke the heart into pieces. Inside it was a piece of paper with words "happiness" and "sorrow." 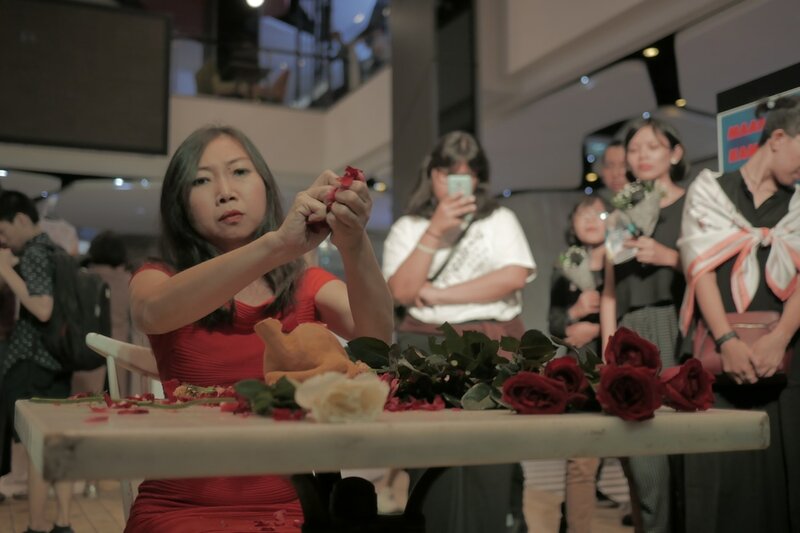 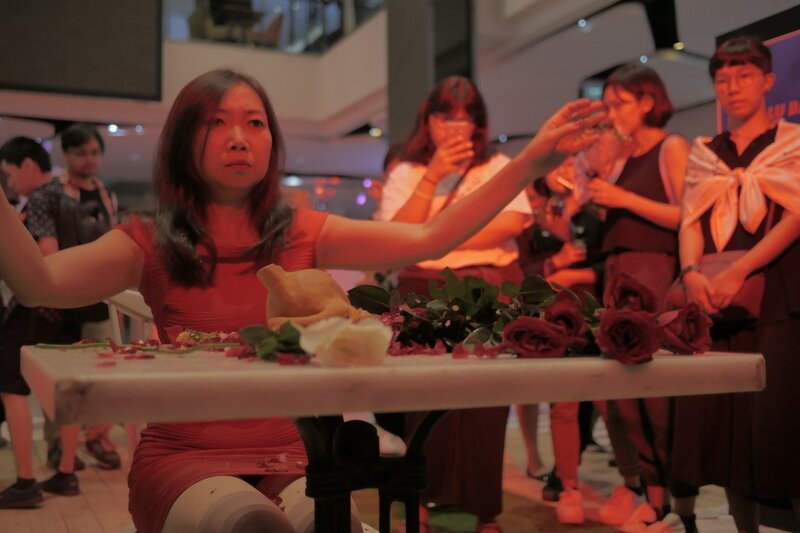 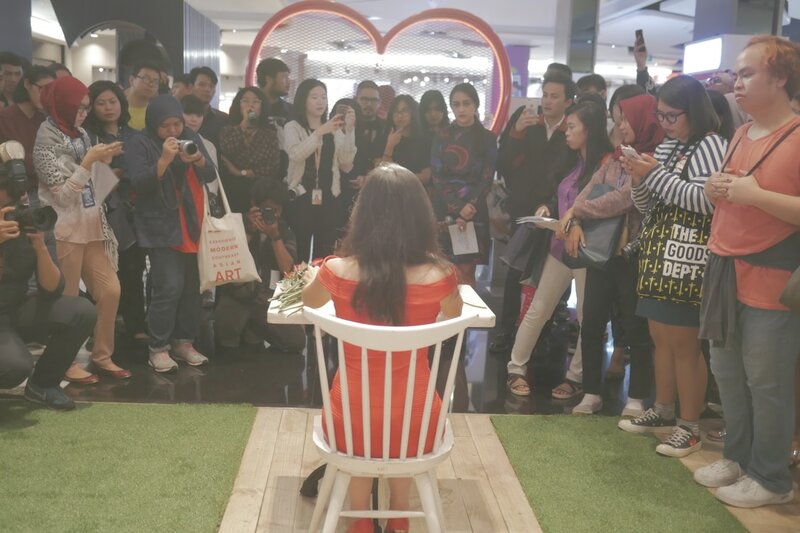 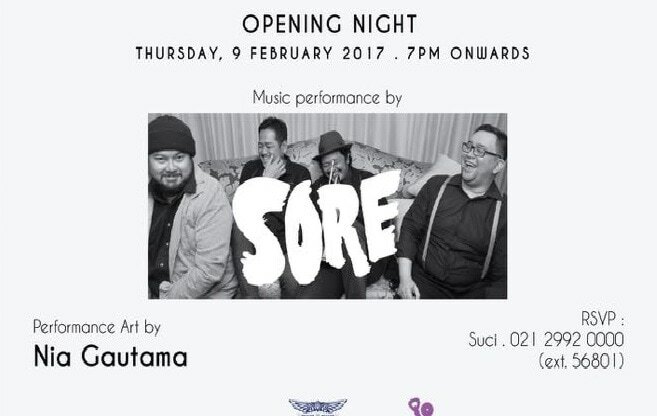 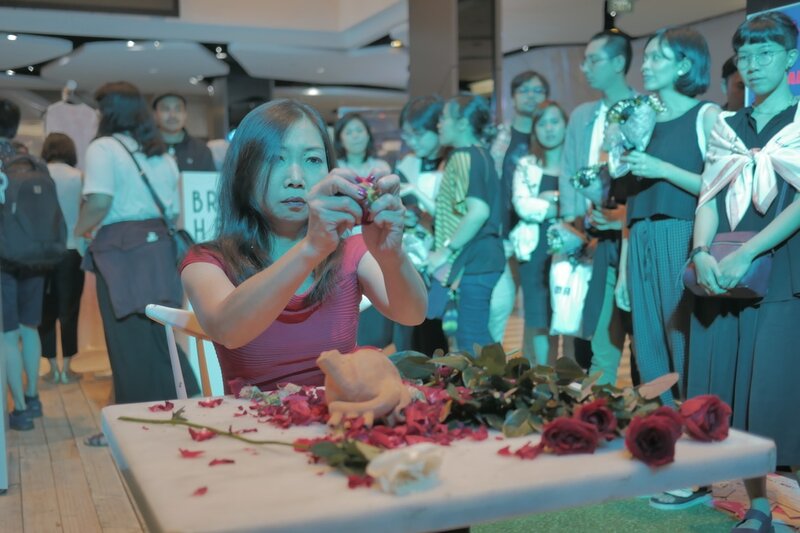 Besides the main attraction which is the art installation, during the opening that took place on Thursday (02/09/17), there was also a performance art by Nia Gautama. 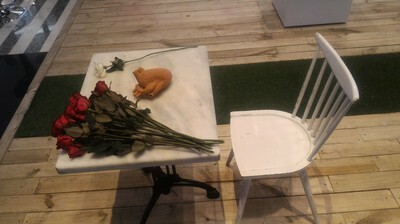 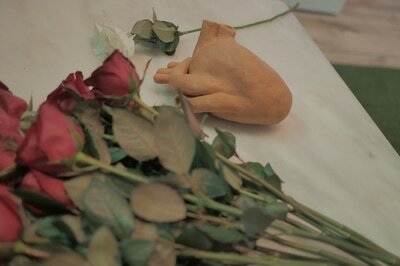 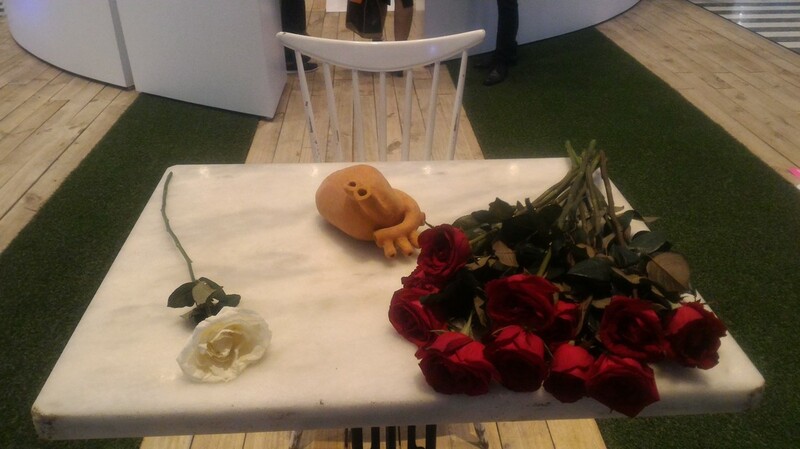 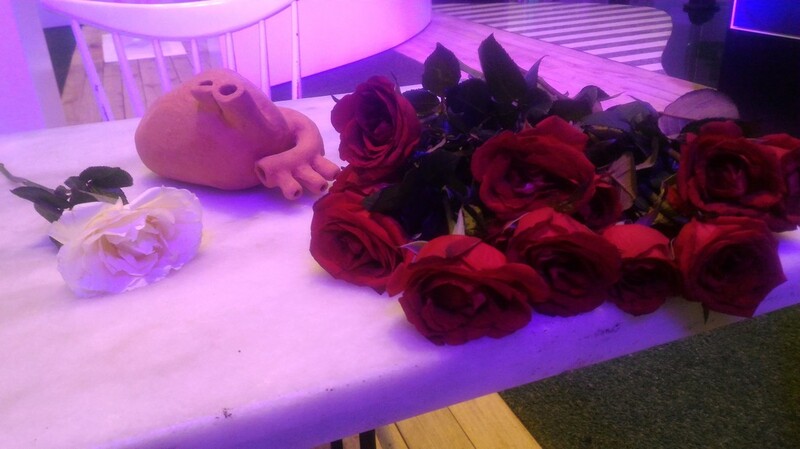 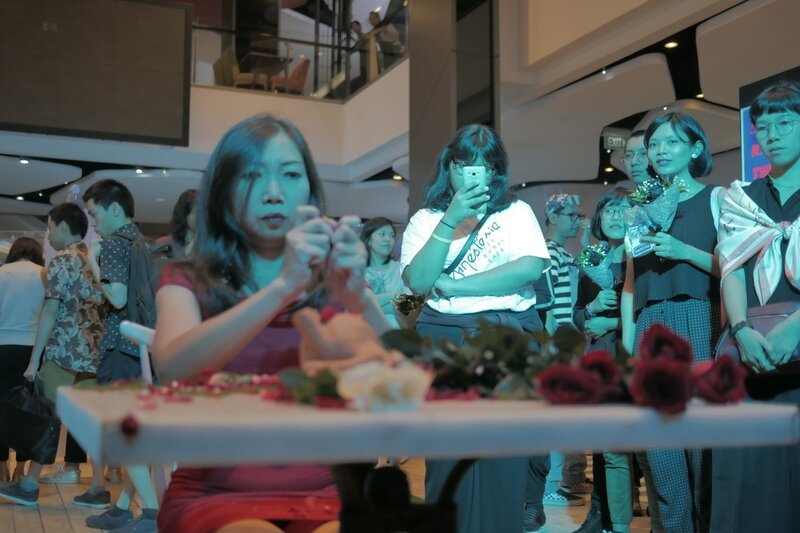 She used roses and a clay figure of a heart as objects, and it was combined with a theatrical performance.